Dr. Lester Grinspoon is associate professor emeritus of psychiatry at the Harvard Medical School. He researched the medicinal legitimacy of the marihuana prohibition forty five years ago and discovered that an immense chain of lies served as a base for sending millions of people to jail the last four decades and a half in the US. Since then he became an advocate for telling the truth about marihuana. I had an telephone interview with him at the end of august 2015. This is my transcript of our Skype conversation. Dewals: Can you tell me how you became interested in marihuana? Professor Grinspoon: Well it began in 1966. During my anti-Vietnam activism I met Carl Sagan and he and I became very good friends. When I met Carl Sagan I was convinced that cannabis was a very harmful drug. Going to his house one day I discovered that he smoked cannabis and so did many of his friends. Now these were not unsophisticated people and I tried to tell Carl how harmful marihuana was but he responded in a joyful manner that it wasn’t harmful at all. With this experience came the idea of writing a paper which would summarize the medical scientific basis for the marihuana prohibition. At that time marihuana prohibition was leading to the arrest of 300.000 people, mainly young people, a year of which 89% for simple possession. For me it became important that this prohibition was justified. It was in the library of the Medical School that I found out that I was completely wrong about the harmfulness effects of marihuana. Not only was it not harmful it was remarkably nontoxic and the drug itself was not causing harm to the user but the policy of arresting people did. Some went to prison for having it and others saw their career goals compromised. So I wrote an article about the subject and it was published in the International Journal of Psychiatry. One of the few people who read it was the editor of Scientific American. He asked me to reduce the article so it could fit in his magazine and he would than publish it as the lead article in one of the coming issues. When my article was published in the November, 1969 issue it caused a huge tsunami so to speak and debouched in the proposal from three different publishing companies to write a book about marihuana. Eventually I wrote my book Marihuana reconsidered, that came out in 1971, with the Harvard University Press. When I was doing the research for my book I did not only find out that marihuana was not harmful but I started to understand why people would use it, what the attraction was for them, and I decided, at the age of 42, that I was going to use it as well. It was just too interesting an experience to let go. But I knew that if the book would be a success there would be a good chance for me to be asked to testify before a congressional session or senate committee. Because I didn’t want my own experiences with marihuana to make my testimony less objective, in the view of others, I decided that I could only use marihuana, even being interested as I was, two years after the publishing of my book. And indeed I ended up testifying before a senate committee. I remember a big tall senator who was rather doubtful about all I said, asking me “Doctor did you ever use marihuana?” and I answered “Senator I would be glad to answer that question if you could tell me that if I gave you an affirmative answer it would make you more sympathetic to my answer or less” He starred at me saying “You sir, are being impertinent” and he walked out the backdoor. Later that day, when I drove home, I said to my wife Betsy “The time has come” and sometime that week I would experience marihuana for the first time. Dewals: You said earlier that through the research for your first book you came to understand why people would use marihuana. What are the reasons people use it? 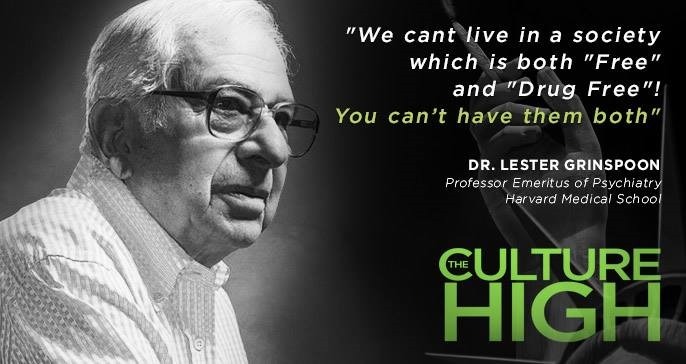 Professor Grinspoon: Most people are familiar with the recreational use. But along with this use marihuana has an ancient history as a medicine as well. We know that Shen Nung, a Chinese emperor, who lived about 5.000 years ago already used marihuana as a medicine. In modern western medicine we had to wait until the mid 19th century for the introduction of marihuana through an English man named William O’Shaughnessy. At that time he worked in Calcutta and observed the indigenous people using marihuana as a medicine. He started studies on animals to be sure it was safe and published his studies when he came back to England. Between 1849, the year O’Shaughnessy published his first paper, and 1900 I came across about 100 critical papers about marihuana as a medicine in my review of the literature. The third use is the enhancement of a broad range of human activities. Everybody that has used marihuana knows that an ordinary meal can taste like a culinary treat and that it can enhance sexual experiences. But these are enhancements that are right there on the surface. Once one becomes more experienced with cannabis he can experience or appreciated phenomena in another way, for example understand art in a better way, use it for creative purposes or spirituality. Dewals: When you published your first book Marihuana reconsidered in 1971, which was a controversial book at that time, what where the reactions of your peers and other scholars? 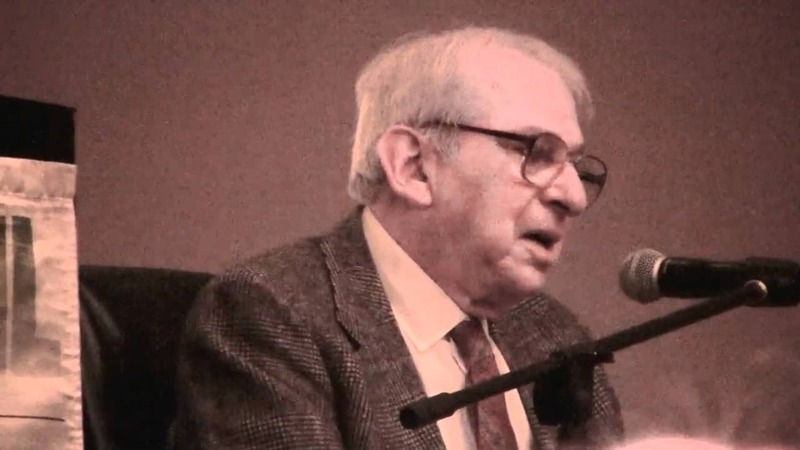 Professor Grinspoon: Well yes there was a lot of reaction. I remember the most significant of all. I was put up for early professorship by my chief at Harvard Medical School. At that time I had already published about 70 papers about schizophrenia and I had some expertise in this domain. So when my chief came back from the promotions committee he told me that the committee members loved my work on schizophrenia but they hated Marihuana reconsidered because it was much too controversial. Dewals: Even with all the data that you used to support your work? 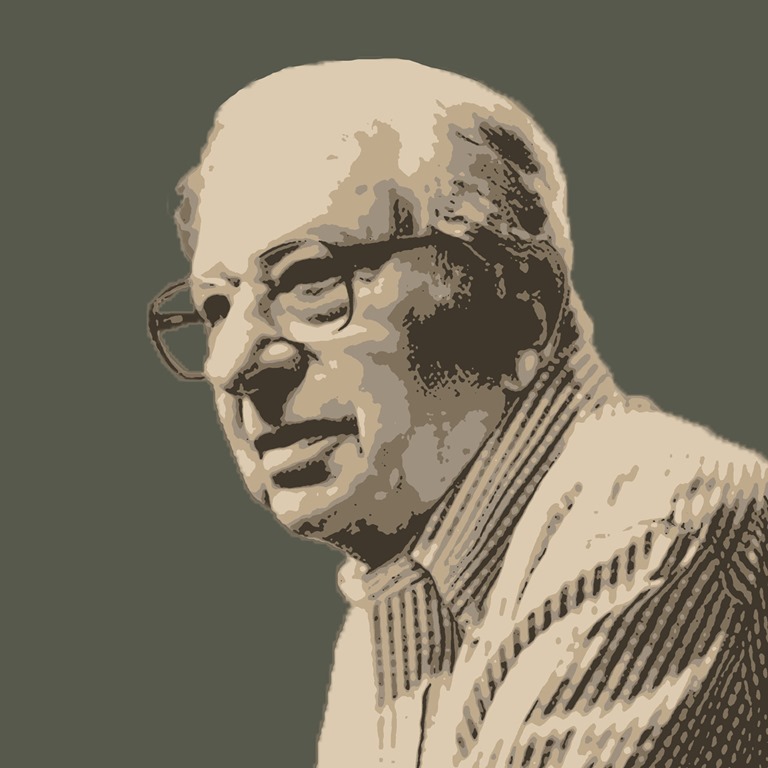 Professor Grinspoon: Oh yes, I just couldn’t believe it I said to him “Controversial, what do they think of scholarship”. When I was leaving his office my chief said to me “They asked me to ask you a question, what are you planning to do next”. I said that I was an intellectual and that I did not know yet, which was a kind of lie, but that I wanted to have the freedom to go my way. The affaire resulted in the turndown of my candidacy for professorship at that moment and I had to wait till 1995 to become professor at Harvard, twenty years after my first candidature. In the beginning I was heartbroken but because I did not become a professor I could skip a lot of department meetings and other things, so I had a lot of time for my own research. Because of the free time I started to become active against the cannabis prohibition that was and still is very destructive in the American society. Dewals: What can you tell me about marihuana as an addictive substance and not holding any medicinal benefits? Professor Grinspoon: Those are the myths about it. There are still people that think that it is addictive. They say that about 10% of the users become addicted. I don’t see it as an addictive substance. Sure you see some people using it all the time, especially many young people, but they do it because they did not figure out yet what to do with their lives. I used it for more than four decades, almost everyday, when there were times I could not use it I would not encounter any problems. Once I had to go to Malaysia for ten days to meet with a man that was caught with drugs over there and who was sentenced to death. Of course I did not bring marihuana with me and I felt good. I missed it but I felt nothing more. Dewals: So marihuana addiction is just a myth? Professor Grinspoon: I don’t believe there is such a thing as marihuana addiction but common people are very concerned when they discover that their college kid is using marihuana. They will get upset and take him to the psychiatrist. This doctor has no other choice than diagnosing the youngster as a marihuana addicted, like is mentioned in the DSM, because without putting a label on the ‘patient’ he will not be reimbursed. Afterwards people use this data to show that 9 or 10 % of the marihuana users are addicted, but that is simply not true. I remember that one of my students who smoked marihuana decided one day to stop using it to prove to himself he was not addicted. I thought it was a good idea and I said to myself let’s stop for 40 days and see how it goes. I had no problem at all. The people who insist that marihuana is addictive are on very thin ice. Another thing is that you can smoke it safely, there is no pulmonary bronchial notorious effect. Even if you smoke it straight without using a vaporizer. Doctor Tashkin, a pulmonologist, published articles on that issue and made it very clear that there was no danger. Dewals: Do you think that doctors and therapists that work in rehab hospitals have a conflict of interest? I mean, if a cannabis user is not longer labelled and treated as an addict a lot of them would find themselves without a job, no? 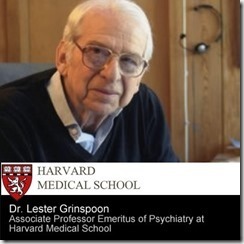 Professor Grinspoon: Exactly right! They have as I said above to diagnose marihuana users as addicted people or miss their reimbursement. But you can’t compare cannabis with opiates or alcohol. Especially the alcohol addicts can have severe withdrawal symptoms. But you will not have those with marihuana. Dewals: Can cannabis cause psychosis or schizophrenia? 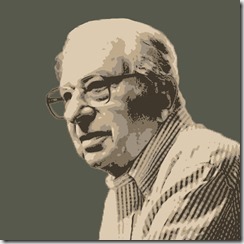 Professor Grinspoon: Absolutely not! Schizophrenia is a disorder which one is born with but it doesn’t always manifest itself. Usually it is during adolescence that it starts showing. The one way that the use of cannabis could be related to schizophrenia his when people who are not used to cannabis start smoking and become anxious or paranoia which is off course uncomfortable. That’s why people have to learn smoking it. I can imagine that with someone who is cannabis naïf and has that kind of experience it can occur as a precipitating event. Many schizophrenics say their psychotic episode started after such a precipitating event. Those events can range from an automobile accident or the death of a loved one. And I can imagine, I have never seen this, that the naïf use of marihuana can act as a precipitating event. Dewals: But then the use of marihuana is not the cause of the schizophrenic disorder. The person was born with it? Professor Grinspoon: Look, it is a very simple exercise. The prevalence of schizophrenia is 1% around the world, across all different cultures. Given the amount of people who started smoking marihuana, including adolescents which I wished wouldn’t do it because their brain is not fully developed yet so they would better wait until their twenties, no scientist picked up even the tiniest increase in the prevalence of schizophrenia. So the people who write this can not prove it. Dewals: With the newest dates that are available now, what do you know about marihuana in relation with cancer? Professor Grinspoon: I am glad that you bring that one up. I hear a lot of people talking as if cannabis can cure cancer, and that worries me. People who are not sophisticated about this will not go to a doctor and they will miss chemo treatment, radiation or surgery and just rely on cannabis. By acting like this they lose a lot of time because with cancer you want to go as fast as you can to the doctor. So I think you can not say that cannabis cures cancer. However there are some properties of cannabis which in my view make it very important that those patients use marihuana alongside the modern western oncological treatment. In case of chemotherapy for instance they can use cannabis to combat the side effects of the treatment like distressful nausea. Cannabis can help as well to diminish the size of tumours which can be important when the tumour causes an obstruction, it stimulates appetite and in vitro it stops cancer cells from spreading, kills cancer cells and leaves healthy cells untouched and interferes with the blood flow in the tumour. So there are a number of effects which shows that marihuana pushes back cancer. This makes it important to use marihuana but along with the modern medicine. Nobody has proven to me so far that cannabis cures cancer but for sure it is a very good adjunct. Dewals: In Belgium our minister of health Maggie De Block, who is a doctor as well, says you can’t use marihuana as a medicine because their is no proof of it. According to her the only thing that is useful is sativex and only for MS-patients. What is your comment on that? Professor Grinspoon: Let me start with saying that sativex is marihuana! To say that you could use sativex and not smoke marihuana to have a similar effect is a silly thing to say. And to state that there is no evidence is nonsense. There are mountains of anecdotal evidence, you can not just deny them. We are used to the idea that medicines come from pharmaceutical enterprises. After they did double blind tests with them. But this is a plant, and you can not patent a plant and have the exclusive license to sell it. That’s why the pharmaceutical enterprises are not interested in doing very expensive tests with marihuana, because at the end of a positive test anyone could bring a medication on the market. Dewals: Are you saying that marihuana is a great medicine for the people but not for the pharmaceutical enterprises, for them it is worthless? 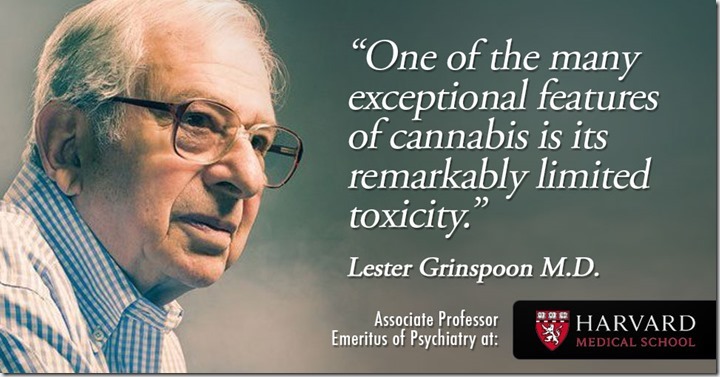 Professor Grinspoon: Absolutely! Another reason why you should not worrying about using marihuana is because it is not toxic. I remember when I had for the first time a patient with Crohn disease, even after surgery she was still compromised in her work because of it. So I said to her I don’t know if marihuana will help you enough but I would try it. If it doesn’t help you it surely is not going to hurt you. And today, if you read the medical literature, it became a very important treatment for people with Crohn disease. Some people say to me you should not say to people to use marihuana for this or for that. But that is a silly thing, because it might help you and surely will not hurt you. If it does help you, you are very fortunate because it has no side effects and it will always be cheap. Patrick Dewals is a 44 years old Belgian with a bachelor degree in mental nursery, a master in political sciences and on his way to becoming a master in political philosophy. Along with his studies he works as a freelance reporter.